The waiting was killing Paúl Quiñonez Figueroa. Now that the DACA recipient knows President Donald Trump’s plans for young, undocumented immigrants, he can figure out his next steps. Paúl Quiñonez Figueroa wakes up around 6 a.m. every day, anxious. As a 22-year-old DACA recipient, the waiting has been killing him. “He should announce it already,” Quiñonez Figueroa said Friday in his Northgate apartment. On Tuesday, Attorney General Jeff Sessions did it for the president. Sessions announced an “orderly, lawful wind down” of DACA over the next six months. The Department of Homeland Security will accept no new applications. Quiñonez Figueroa, who works as a legislative assistant to state Rep. Shelley Kloba D-Kirkland, said he and his peers plan to press members of Congress to vote on a new DREAM Act introduced this year. The bipartisan bill goes further than previous, failed versions; those eligible would include not just young, undocumented immigrants who go to college or serve in the military but also those in the workforce. But some are so uneasy with being in a special category that they no longer want to be called “Dreamers” — a term they feel connotes virtue unique to them. “We’ve moved far beyond that,” Quiñonez Figueroa said. For a long time, Quiñonez Figueroa was angry about being uprooted from his home in a small town in the Mexican state of Colima, about 500 miles due west of Mexico City. He was 7. As the Trump administration has been keen to point out, DACA recipients are still considered undocumented even though the government has granted them permission to work here temporarily. 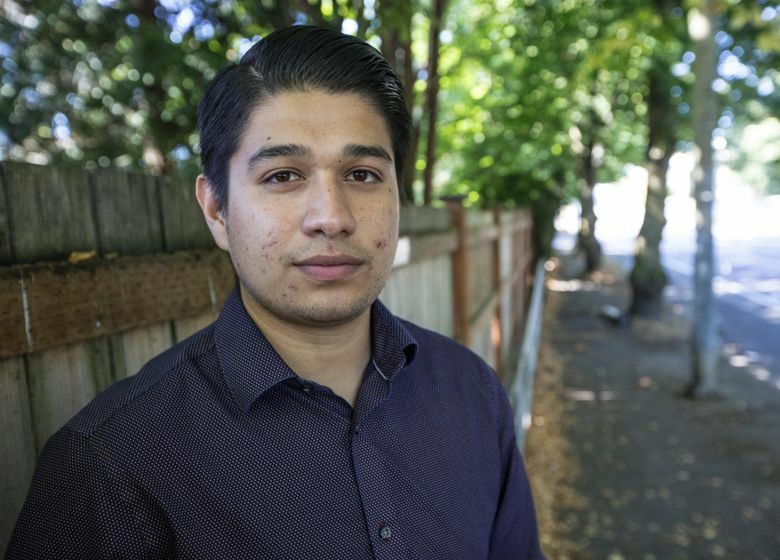 Accepted by Gonzaga University, Quiñonez Figueroa benefited from Washington’s version of the DREAM Act, approved while he was there, to allow undocumented students to get state financial aid. After school, he worked as an Eastern Washington field director for Sen. Patty Murray’s re-election campaign, and was interested in working for the federal government. But undocumented immigrants are not allowed. It was in Mexico last summer that Quiñonez Figueroa realized how American he has become. Participating in a program that brought DACA recipients to study side by side with Mexican students, he picked up on subtle but distinct cultural differences, like the way he and his peers would complain about service they found lacking. “We were called ‘arrogant Americans,’ ” he recalled. His game plan: go to graduate school and hope that by the time he’s done. Congress will have passed a law allowing him to stay.